Thanks to increased awareness and early intervention, surviving a breast cancer diagnosis is more likely than ever before. While more people are able to make it through breast cancer, they usually don’t realize the challenges still ahead after recovery from surgery and cancer treatments. The plastic surgeons in this practice – Drs. Feingold, Israeli, Korn, Light and Bank – are acutely aware of all the challenges facing their breast reconstruction patients which is why the Patient Empowerment Program (PEP) is available to our patients well beyond surgery. Joining us for a discussion about the hurdles of breast cancer survivorship, Dr. Janna Z. Andrews presented “The Journey Through Breast Cancer Survivorship” as part of the PEP’s “Be Informed” lecture series. The room was at full capacity to get a chance to discuss with Dr. Andrews survivorship and how to stay physically and mentally healthy. Our patients were taken by her sensitivity and insight into the emotional component of the breast cancer journey. Her message was inspiring; one that resonated with the philosophy of this practice. Janna Z. Andrews, MD is a full-time attending in the Department of Radiation Medicine for Northwell Health (formerly North Shore-LIJ Health System) where her practice is based at the Center for Advanced Medicine. Dr. Andrews is board-certified in radiation oncology and specializes in breast cancer, sarcoma, women’s health, and health care disparities. Additionally, she is on the board of the YOU CAN THRIVE FOUNDATION and is the founder of KICKED IT IN HEELS, a non-profit created to further the end of health care disparities in breast cancer by providing breast cancer survivors, specifically women of color and young women, basic information on screening and survivors’ experiences as they transition. 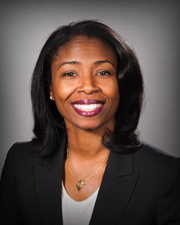 We thank Dr. Andrews for taking time out of her busy schedule to help our patients maneuver their journey. PEP's next workshop will be March 7th at 9:30am with Susan Lax, an inspirational guide who will talk to us about being more present and shaping the moments of our day.